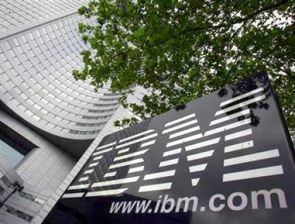 Global Information technology (IT) giant IBM Corp has decided to take a judicial recourse against Indian tax department's demand of Rs 5,357 crore ($865 million) alleging the company had suppressed its revenue for FY09 to evade taxes. An Income-Tax department told Business Standard that a draft assessment order of over Rs 5,000 crore (Rs 50 billion) was served to IBM on October 28 for under-reporting of its income. He said the company, which is assessed at the Large Taxpayers' Unit in Bangalore, had the option to challenge the order before Appellate authorities now. “Fundamental to IBM’s culture and business model is that we act with integrity wherever we do business. We have demonstrated our commitment to integrity since we began operations in India. IBM has taken this tax dispute for judicial recourse,” an IBM spokesperson said in an email statement. The Income Tax Department had issued a notice to IBM following a detailed investigation during which the department had found that IBM India under-reported its income to evade tax under the export promotion scheme of the Software Technology Park of India (STPI). IBM has been involved in tax-related tussles with the Indian government since 2011, when the authorities had sought Rs. 1,090 crore (Rs 10.9 billion) as tax obligation for FY09 as IBM India had failed to keep separate books of accounts for income earned from STPI zones and special economic zones (SEZ). While the company had obtained a stay on the demand from the Income Tax Appellate Tribunal, the I-T department had challenged this order in the Karnataka High Court in January this year. The court had allowed the government agency to collect the amount from IBM India. Act if they are located in a SEZ. Apart from using India as a base for its global services delivery, India is also a huge market for the New York-headquartered company. According to a Fitch report issued in July 2012, IBM India had reported revenues to the tune of Rs 15,413 crore (Rs 154.13 billion) with a net profit of Rs 1,290 crore (Rs 12.9 billion) in FY11. According to industry estimates, the company may have crossed Rs 16,000 crore (around $2.5 billion). Besides, the company is also one of the largest employers in the country with its headcount expected to have crossed 120,000. In India, IBM’s operations include four broad segments including global business services, systems & technology group, software group and global technology services. The fresh tax demand comes at a time when Infosys, India’s second largest IT services company, just agreed to pay $34 million ( around Rs 210 crore ) for a civil settlement of alleged visa misuse related investigations in the US. According to industry experts, this may pave the way for other Indian IT services companies to come under scanner by the US authorities over their usage of business visas.